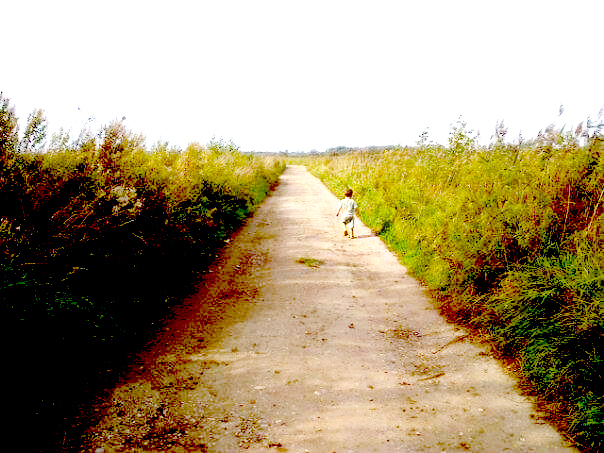 Last Sunday, whilst we waited for our beef to roast in the oven, we decided to take a walk down to the marshes that we live near.We normally stop halfway down at a car park and then head down a long windy footpath to the park and for a walk along the broads. This time we continued past the car park to see what else we could find. 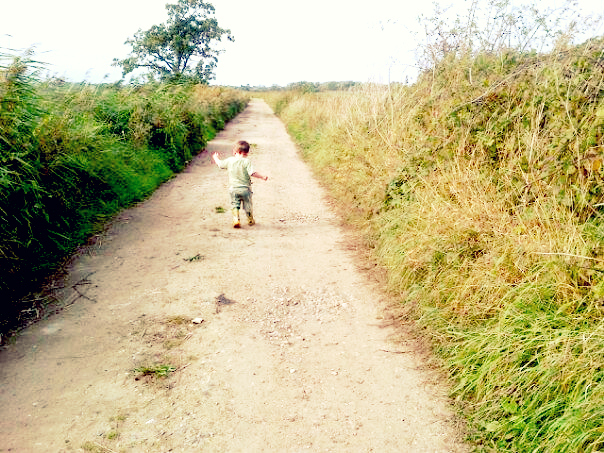 We had taken Charles in his Smart Trike and once we were safely down the lane we let him free and off he ran. We didn't seem to get as far as we thought we might as Charles was quite grumpy [mixture of tiredness and mild poorliness] so we turned round and headed home. He wanted to push his Smart Trike but kept pushing it into the ditch on the right side of the lane. Each time he said "Oh no. What's happened? 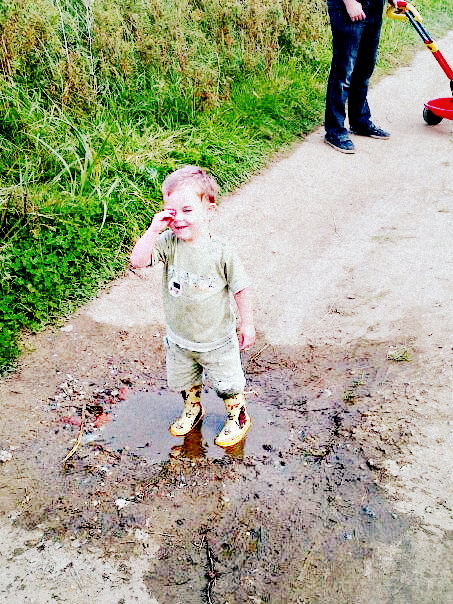 Mummy/daddy fix it for you please" which became quite tiring. We placed him back in the trike as he faught to get out. We were thinking of ways to calm him down, trying our best to stop him from screaming and crying because he wanted to continue down the lane. 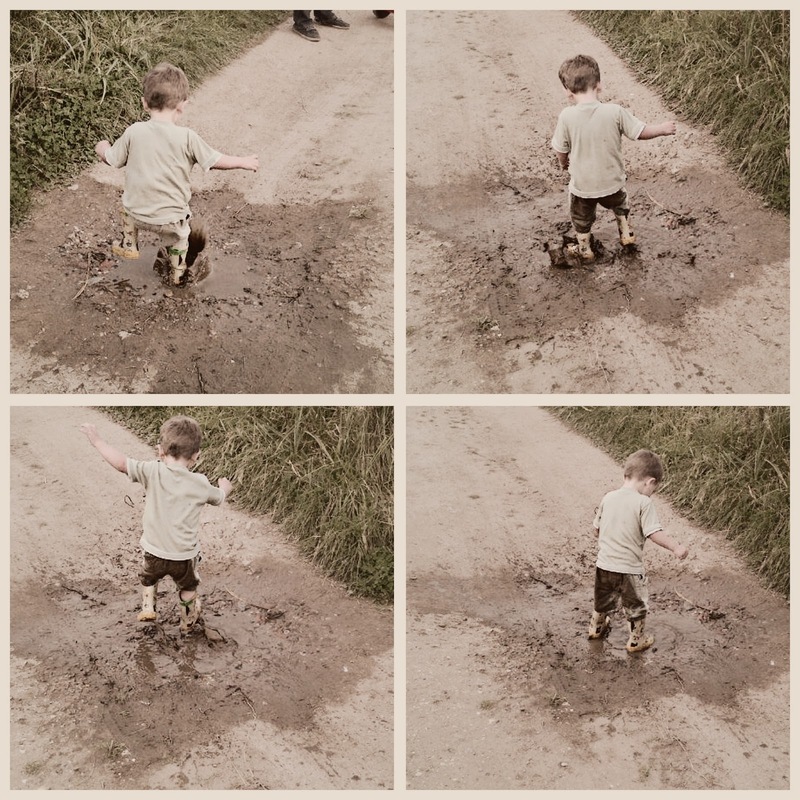 We eventually came to a puddle, I got him out of the Trike and encouraged him to splash around as much as he wanted. It seemed to be the most fun he'd ever had! 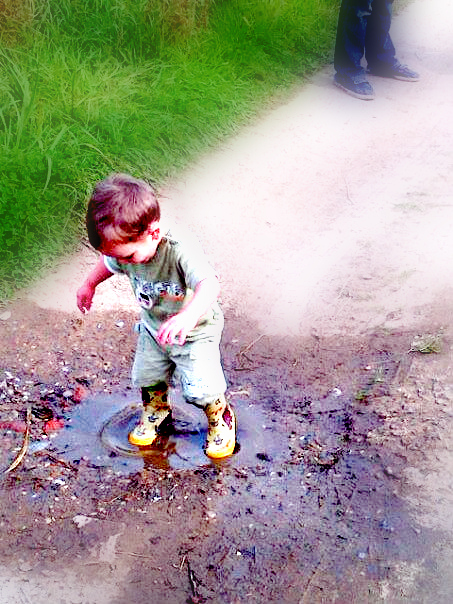 Who knew a puddle could be so fun!